The Portage County Farm Bureau held its annual legislative breakfast April 28, 2017 at Maplewood Career Center. Farm Bureau members had the chance to meet with local, state and national officials to discuss issues. Our local officials were also given a chance to give an update on programs, issues and concerns they had. 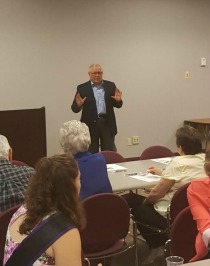 Dr. Larry Antosch, Ohio Farm Bureau Senior Director of Policy Development & Environmental Policy, presented a discussion on the water quality issues throughout the state and locally in our watersheds. He discussed what legislation has done for local farmers and how legislation has been implemented over the last few years. Dr. Antosch also talked about the Blanchard River Watershed Partnership in Northwest Ohio that Ohio Farm Bureau has contributed $1 million dollars to. This project will help farmers see in real time changes that can be made to their farms to help manage nutrients that are applied to their farm. 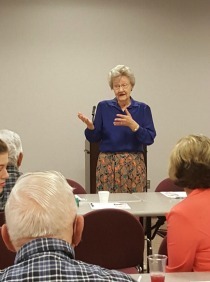 Members discussed tax issues for farmers, septic systems for residents and many other issues.